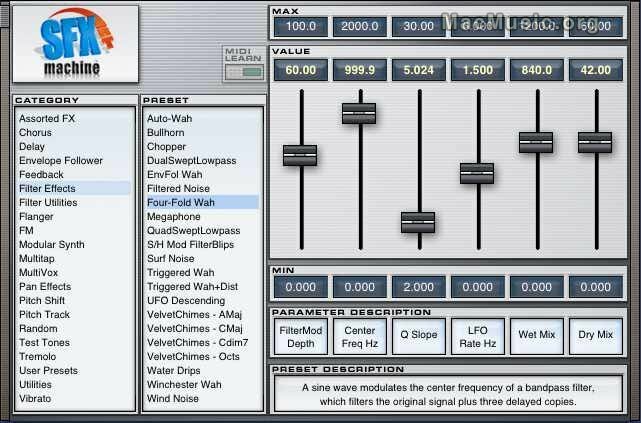 SFX Machine RT is a real-time version of the company's award-winning SFX Machine audio effects plug-in, and is now updated to v1.0.4 in both Audio Units and VST formats. This new version features mono to mono processing, parameter values in the Audio Unit version are now expressed with meaningful values in "generic" views, and several presets are more stable. More details and download in the MM softs section.